60 CDs cover all the books of the Bible from Genesis to Revelation and are packaged in a heavy duty black zippered case. Each disc is held secure in a clear protective sleeve bound to the case spine. Each disc is held secure in a clear protective sleeve bound to the case spine! 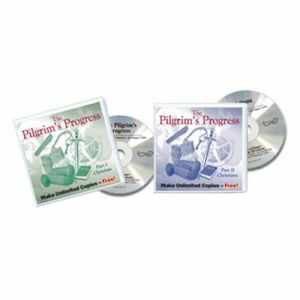 As an added bonus you will also receive "The Bible in one Hour CD" narrated by Dr. Stanley Morris, and on DVD "The Indestructible Book" which is the epic story of William Tyndale's struggle to translate the first English Bible, and 2 MP3s with the complete NKJV Bible by Eric Martin.